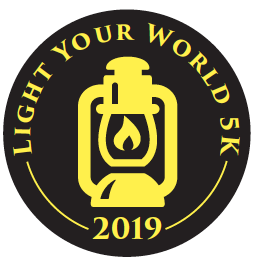 Registration is open for the 2019 Light Your World 5K! T-shirts are still available on a first come, first served basis. 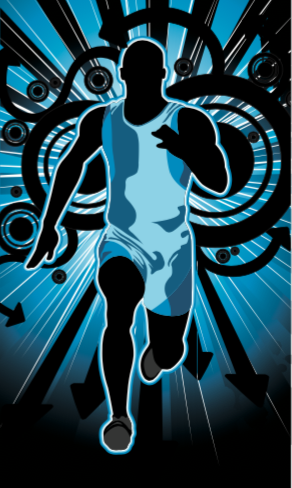 We hope you and your friends will join us again for an evening of music, food, fun and of course, running! 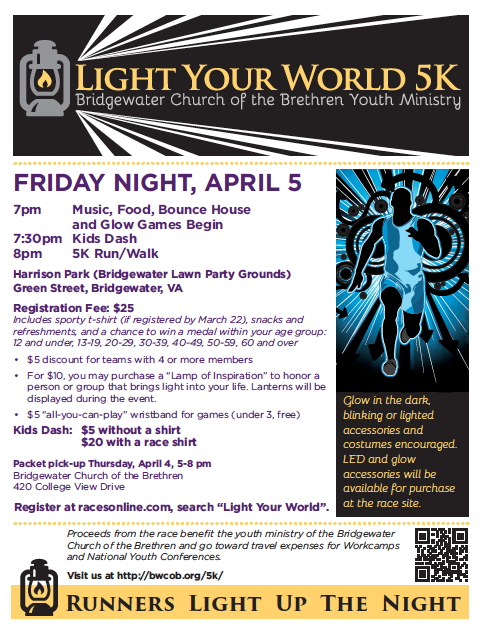 There is a $5 discount for teams of 4 or more so grab your friends and your glow gear and let’s light up the night. – share your photos, too! 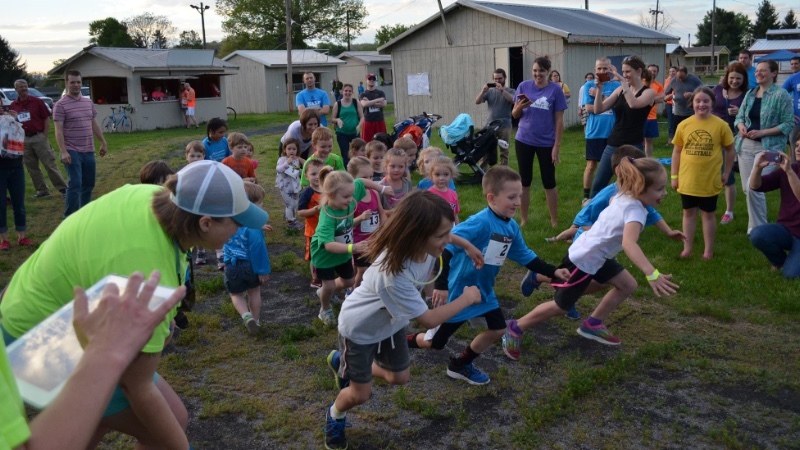 Great weather and great participation contributed to another successful 5K Light Your World in 2018! Here are some photos of the event. Our Youth participated in various workcamps this summer, including Louisiana and Georgia. Read more about the locations and schedules for this year’s workcamps here. Registrations for Summer 2015 camp weeks are now being accepted. Contact Jeanie Eye, Christian Ed worker, for information on scholarships and schedules. the Wissahickon was the site of first COB baptisms in America.